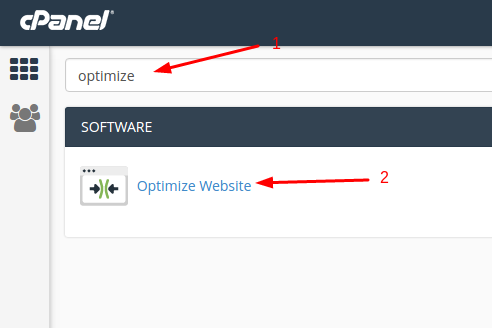 In this tutorial, we will show you how to use the cPanel’s implemented Optimize Website feature. It allows you to compress certain types of files in order to enhance your website’s performance. Disabled will simply disable this feature and will not perform any compression action. Compress All Content will compress all the content of your website. Compress the specified MIME types will let you choose what kind of content will be compressed. The MIME types field allows you to specify what kind of files/content will be compressed. Enter the space separated list of the content that you wish to compress. IMPORTANT! Do not add image types in the field, for example, .jpg or .png. These types are already compressed by default. Congratulations, you have enabled cPanel’s Optimize Website feature for your website. cPanel’s Optimize Website feature is useful if you wish for your site visitors to have a slightly better and faster experience when browsing your website. The website’s content is compressed before sending it to the visitor’s browser, therefore, it will take less time to load. optimize website in cpanel vs gzip htaccess which is better? Thanks for this Tutorial. My website www.newspost.in speed up.Please Check My website Thanks again.